Christina started practicing yoga in 2002 to reduce stress and clear her mind, but she soon found her practice offered much more. It inspired her to get her teaching certification through Yoga Works in 2008 in order to help others find the peace of mind that she has through yoga. Christina is Yoga Alliance Certified and is constantly learning from all the teachers around her. 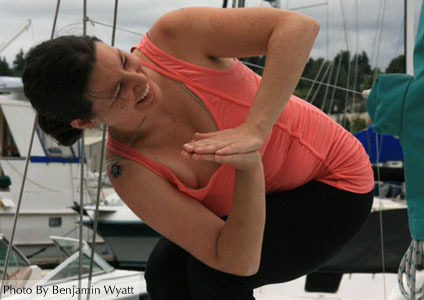 Her accessible approach combines a Vinyasa flow with a focus on alignment. She would love to guide you on your journey to a healthier and happier body and mind!